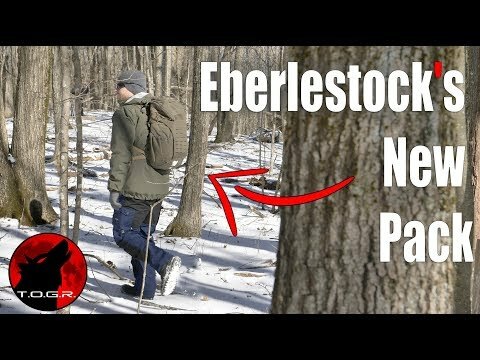 Today we are looking at one of Eberlestock’s newest packs, the H31Bandit! This is a preview with Trail Testing and the Review coming up soon. Colors : Lots of colors and camo patterns; black, coyote, military green and so on. The H31 Bandit is a great little every-day-carry pack. Its laser-cut MOLLE panel allows you to rack on accessories and provides a place to quickly lash one bulky items outside of the main bag. Open the front-loading zipper and you’ll be surprised at just how much room there is in such a small pack. Insert either a 2L or 3L Source Hydration Bladder, and this becomes the perfect day pack. Open the top zipper compartment, and inside you will find a key hook, mesh storage pocket, and a third magazine type pocket. At just over 2 pounds, this is a minimalist’s dream. Whether you’re an outdoorsman who is into biking, running, snowboarding, hiking, or want to be prepared with an SBR compatible, EDC pack, choose the Bandit. This is part 1 of a three part series with this pack. This is the preview, the next video will involves some actual testing with this pack and the 3rd will be the review once I’ve learned all there is to learn concerning it.